AirFly is a must for any traveller or gym-goer who wants to enjoy their music and movies with wireless freedom. 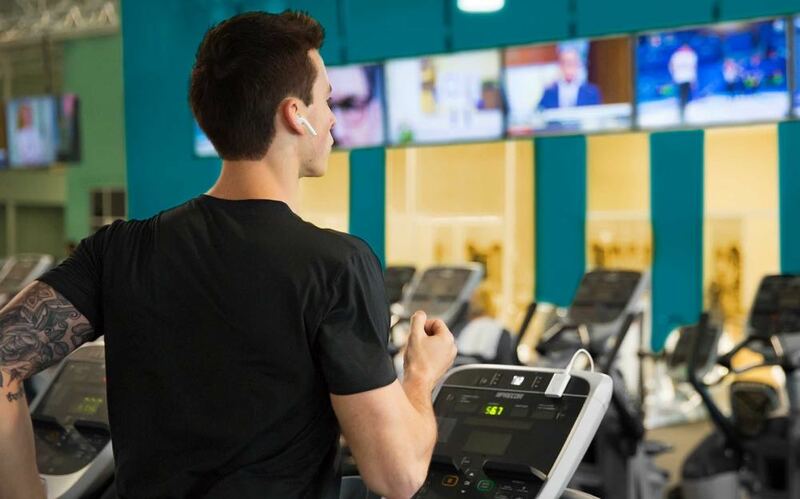 We connect to our devices with wireless earphones and wireless headphones but what about when you’re on a plane or in a gym where you we you need a cable? 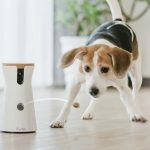 AirFly can provide the solution. 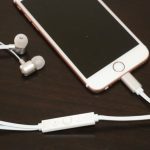 AirFly is a wireless transmitter that can turn any headphone jack into a wireless connection. 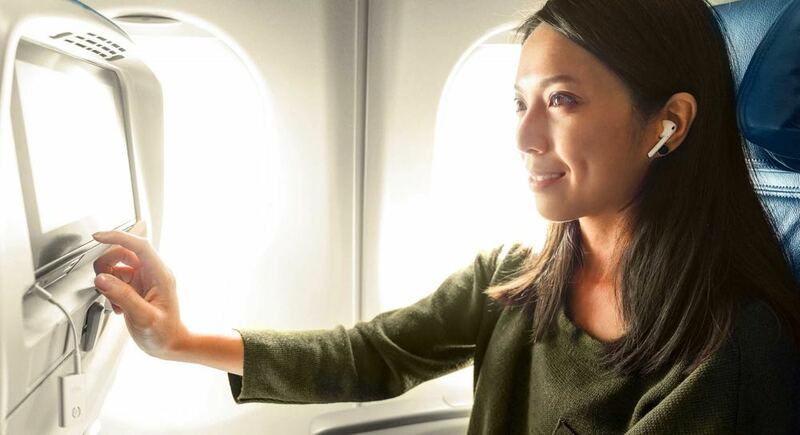 That means you can use your Apple AirPods or other wireless headphones and earphones in your seat on a plane or while you’re pounding the treadmill or riding the bike at the gym. AirFly, made by TwelveSouth, is about the size of a match box and has a 3.5mm headphone jack and a microUSB port (for charging). 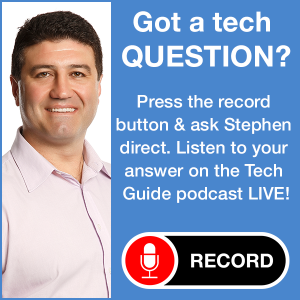 The device connects to the headphone jack you want to access with the included 3.5mm to 3.5mm cable whether it’s on a plane, in the gym, on your TV – any headphones jack. 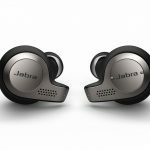 It can then create its own Bluetooth connection so you can pair your wireless earphones and headphones. We gave AirFly a try on our Qantas flight to New York. 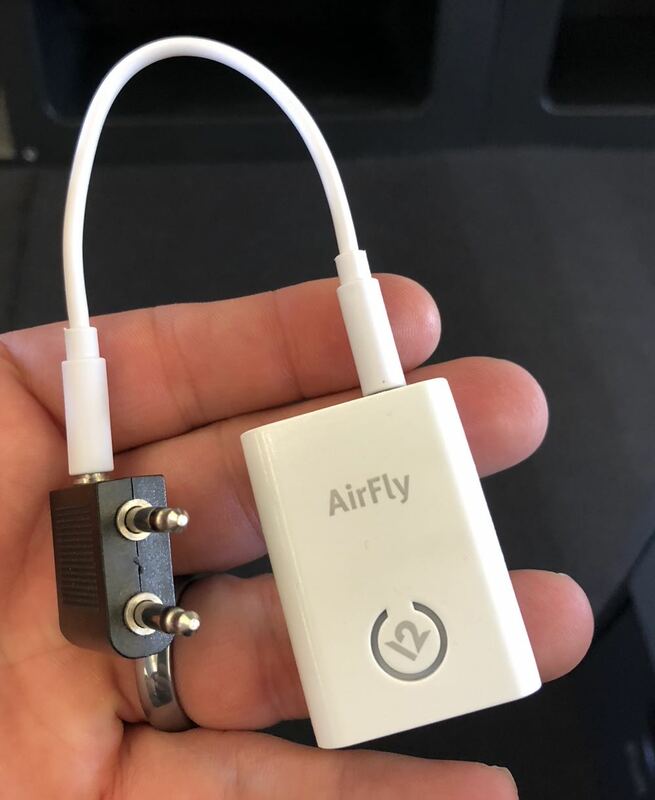 We connected the AirFly to the inflight entertainment plug using a 3.5mm cable and an in-flight audio adaptor. Some airlines now connect audio from a single 3.5mm jack so won’t always need the two-pronged adaptor. But on Qantas we did. We had our AirPods and paired them with AirFly. 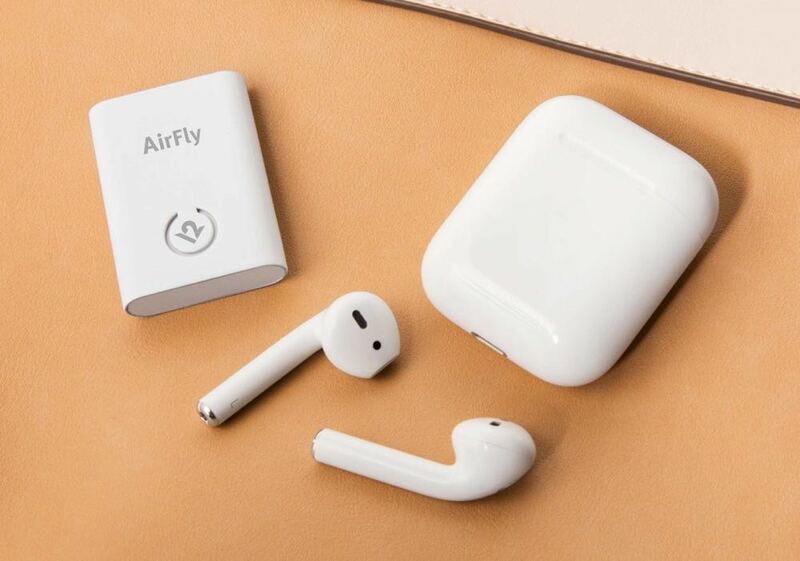 The instructions talked us through the whole process – press and hold the button on the front of AirFly until it flashes white and amber and press and hold the pair button on the back of the AirPods cases till the light flashes white. 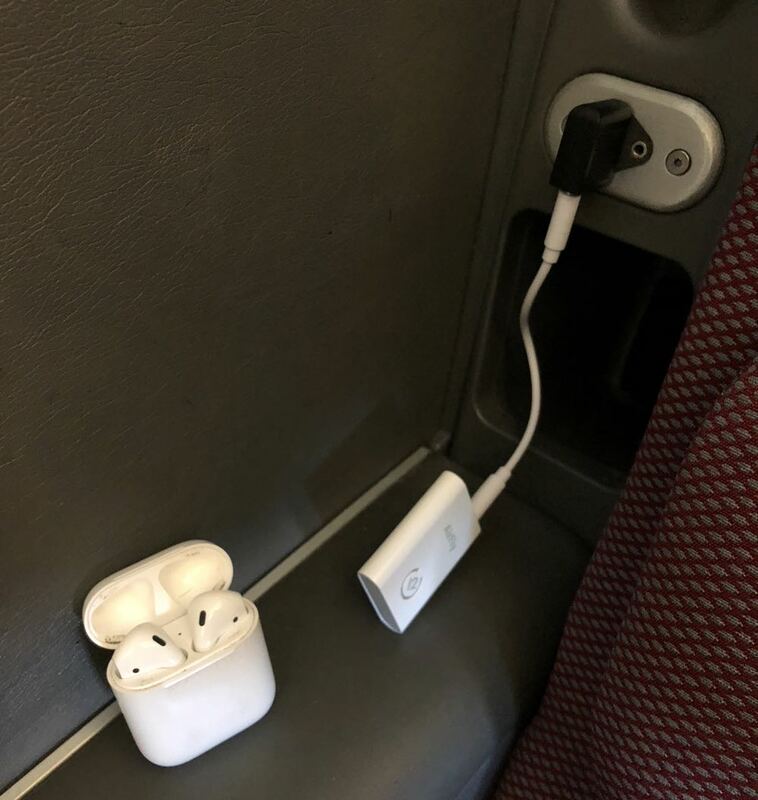 It did take a couple of attempts to get the AirFly and the AirPods to pair but when they did we were able to hear the inflight system without any cables which offers another level of freedom especially if you’re on a long flight. 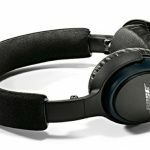 The latest noise cancelling headphones are also now wireless and can connect with your mobile devices via Bluetooth and now, with the help of AirFly, they can connect to other products with audio output but that don’t have Bluetooth like an aircraft, your gym equipment and your television. 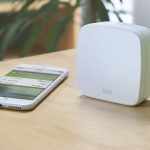 AirFly will also remember your device when it’s time to reconnect or if you break the pairing during the flight. When we wanted to listen to our iPhone with our AirPods, we had to reconnect from the Bluetooth menu. For us the wire-free experience on our flight made it a little more pleasant and convenient. 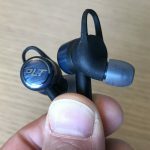 Usually, we connect with a pair of noise cancelling earphones with a cable which, in a confined space like an airline seat, can get in the way whether you’re working or eating. We’ve knocked over our drink during the meal service with our earphone cable on more than one occasion. This time out, using AirFly, that wasn’t an issue. AirFly has a battery life of about eight hours so if you’re a longer flight you probably need to charge up halfway. This is fast and easy using the included USB cable with USB charging often available right there in your seat. 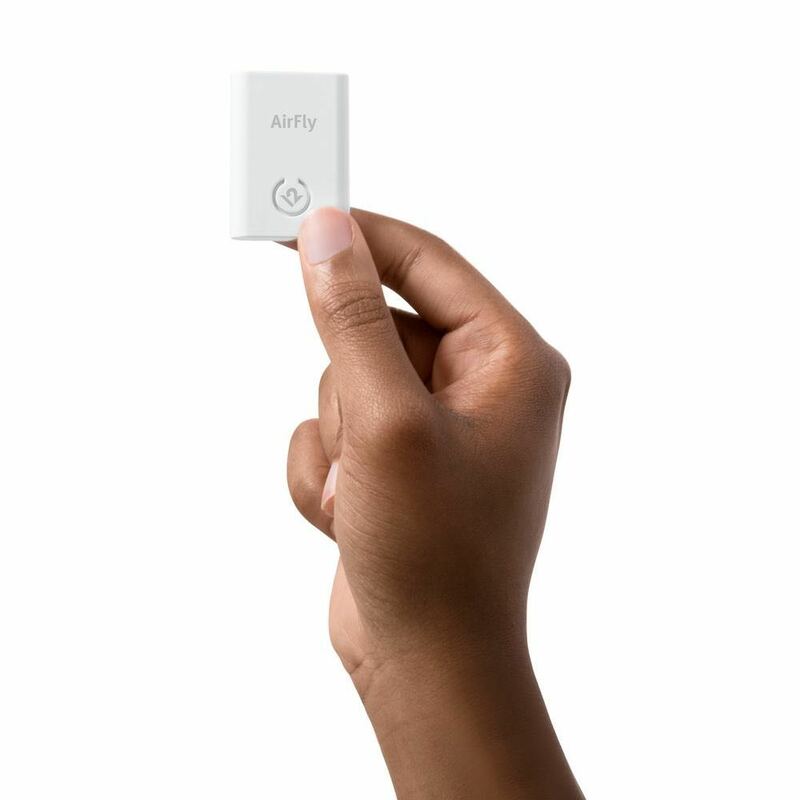 If we did walk away from our seat and broke the Bluetooth connection, AirFly would remember our device and re-pair in seconds. AirFly is available now and is priced $59.95. Available from MacFixit, the Apple Store, MacAddict, Myer, MyMac, Rushfaster and TooDolla.